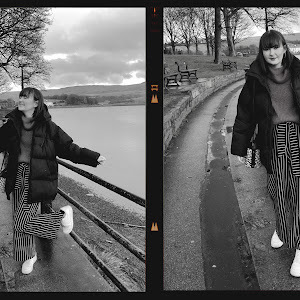 I took some time away from blogging and charity shop bopping because my mind and body needed a break, life just felt a little overwhelming and I'm sure they'll be post about it soon. 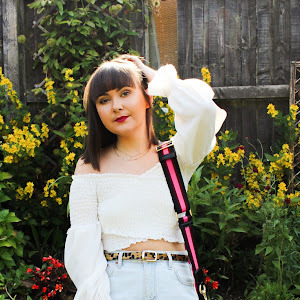 Regardless of that I'm back and so ready to share with you all some of my favourite Charity Shop summer finds! 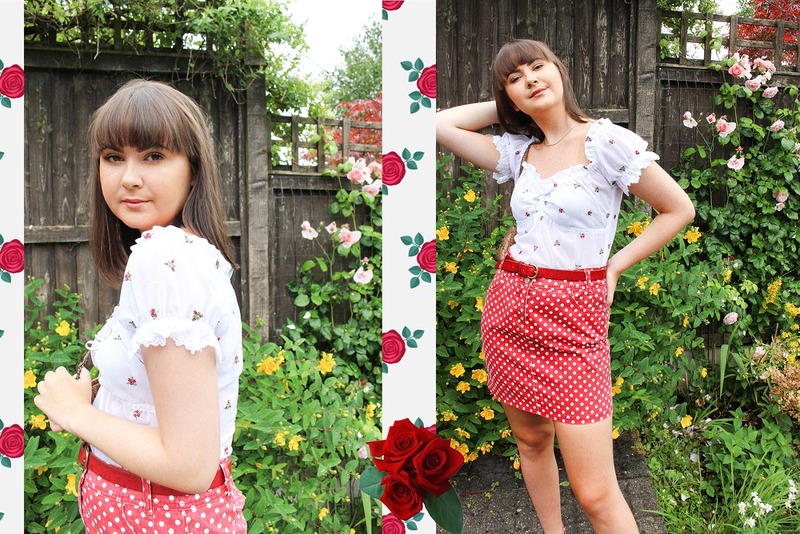 You all know I can never say no to anything red so I bought this skirt off Depop a few months ago for £8 which I thought was a complete bargain! It has no brand in it so chances are it's probably Asda's finest but nevertheless, it is such a lovely little summer piece. 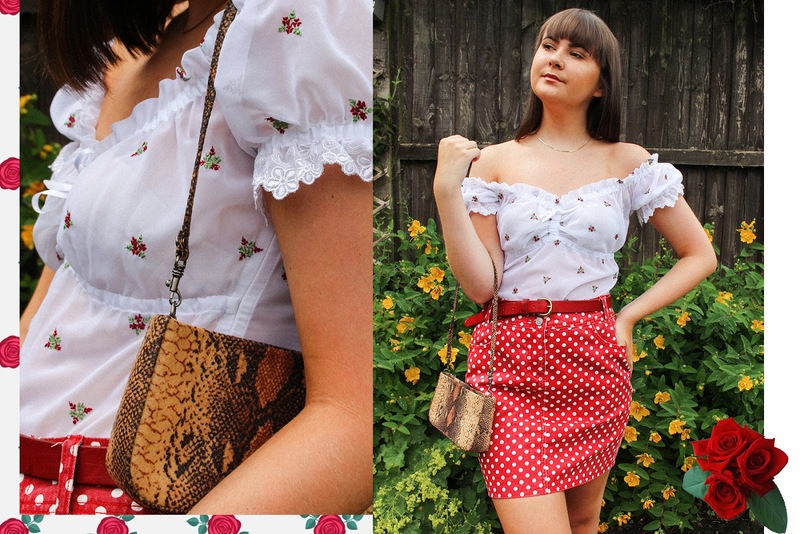 Fitted denim skirts are such a staple in my summer wardrobe as you can pair them with absolutely anything come day or night, rain or shine, they just work! I can never go anywhere without a belt these days so I matched my favourite 50p red belt with the look. To finish it off I paired some Snake print sandals I'd picked up from Topshop a few years back (I apologies as it isn't second hand!) and a Snake print teeny tiny shoulder bag. Now I'm usually a lover of a big bag as I have A LOT of rubbish to carry around with me, but I'm determined to venture out and live the lifestyle of using smaller bags. I don't need to lug around half my life in a massive bag because I really don't need 70% of the stuff! I'd seen Devon Carlson (mega babe) wear some lil bags similar to this and I thought 'If Devon can, I can!'. I may not be as cool as her but I will keep trying for as long as I can! 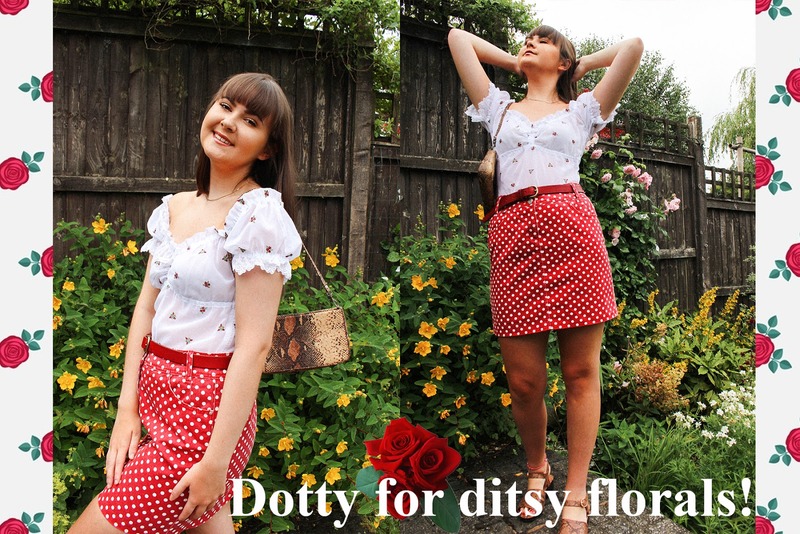 So I admit it, I am completely dotty for ditsy florals and that isn't something I ever thought I'd say. I'm loving embracing my femininity and all things pretty right now and I feel so confident doing so! Trying out new styles is like taking a risk, but if you don't take risks you'll never know what could happen. 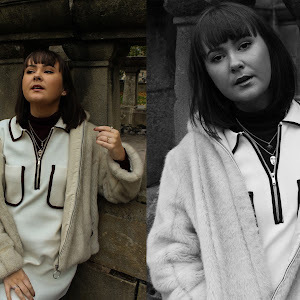 Charity Shopping is an affordable and ethical way to push yourself out of your comfort zone and find styles that make you feel incredible that without looking second hand, you might've never even found! 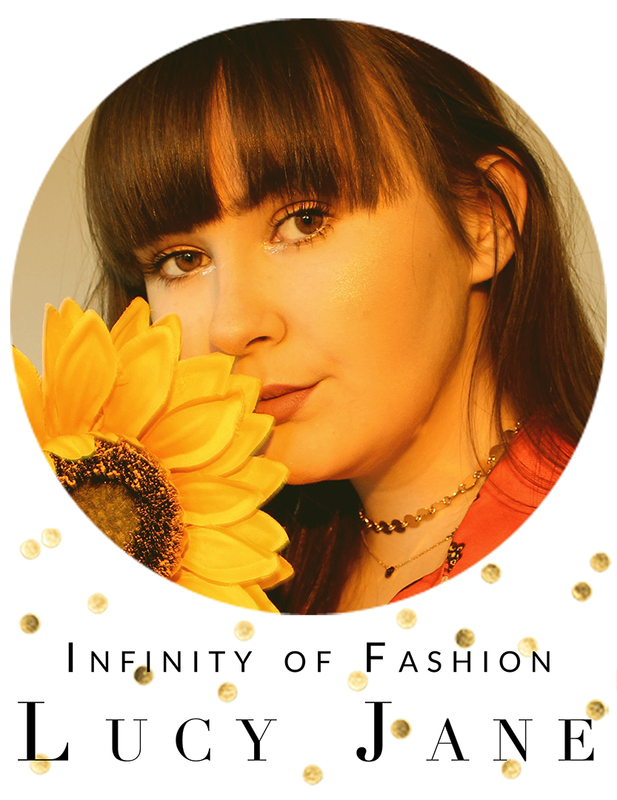 With all this being said I was wondering about starting up my youtube channel again and thinking of focusing on second hand/charity shopping in my videos, is this something that sounds exciting to you? That is such a cute outfit! I love how you mixed floral with polka dots and it totally works together!